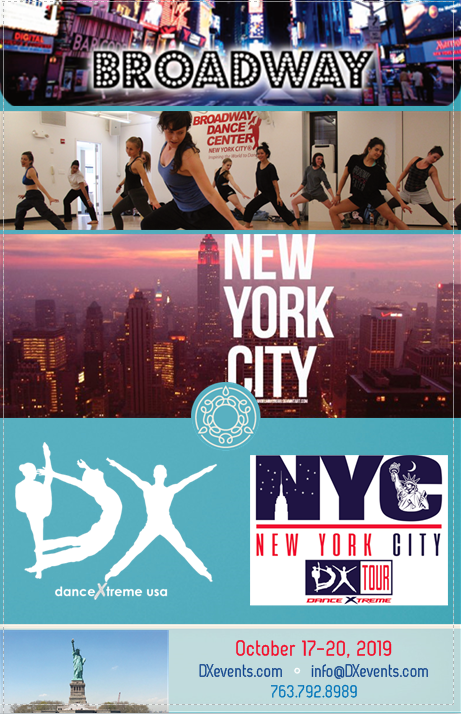 Travel to NYC with DX in 2019 for the Inaugural NYC Tour. 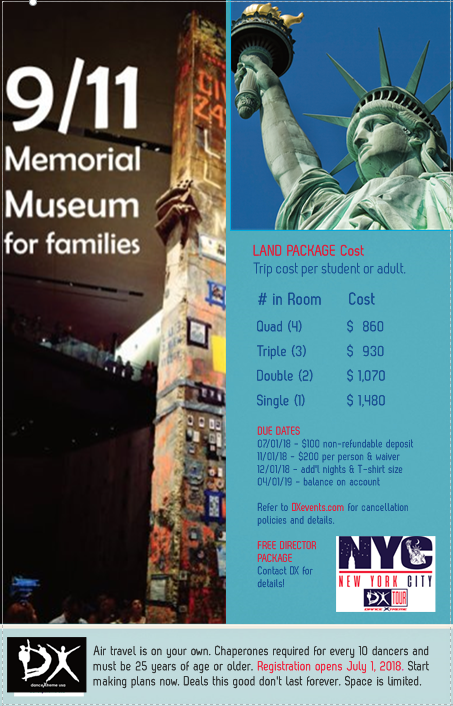 Take dance class, visit the 9/11 Tribute Museum, Ellis Island, and the Statue of LIberty, grab dinner and a Broadway Show, and site see. Space is limited. Click HERE and print off the "How To" Register doc before you go online to register.